L.B. 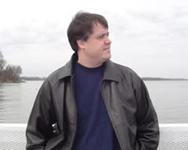 Graham is the author of The Binding of the Blade, a five book fantasy series, the first of which, Beyond the Summerland, was a Christy Finalist in 2005. He writes fantasy/sci-fi and contemporary adult fiction. He teaches Worldviews and serves as the Bible Department Chair at Westminster Christian Academy in St. Louis. Here’s his website and here’s the Binding of the Blade website. CLICK HERE FOR MORE BY L.B. GRAHAM. 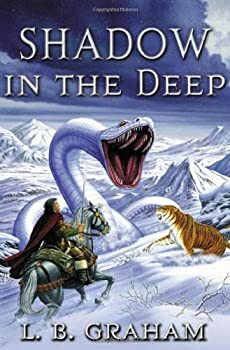 The Binding of the Blade — (2004-2008) Publisher: Joraiem and other young members of Novaana, the ruling class of men, train in Summerland to rule Kirthanin and to defend it against the evil schemes of Malek. 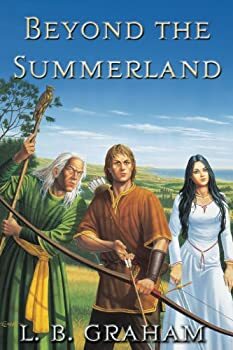 Beyond the Summerland is a magnificent work — an adventure story that is compelling, fast-paced, and full of deep and rich characters. Deep in scope, filled with intimate duels and the clash of armies, it is a work that still maintains a sense of what man is and how his choices lead either to ruin or rejoicing. The race to an exciting and surprising conclusion will leave you hungering for more. The third book by L.B. Graham, a Christian and Covenant Seminary grad, is probably one of the most wonderful books I have ever read. Shadow in the Deep picks up where Bringer of Storms left off after the destruction of Col Marena by Malek's followers. The prophet Valzaan is dead, and Benjiah must take his place. Aljeron must lead the people of Werthanin to safety across the sea to Cimaris Rul while the Bringer of Storms continues to use his powers to manifest rain across over Kirthanin.